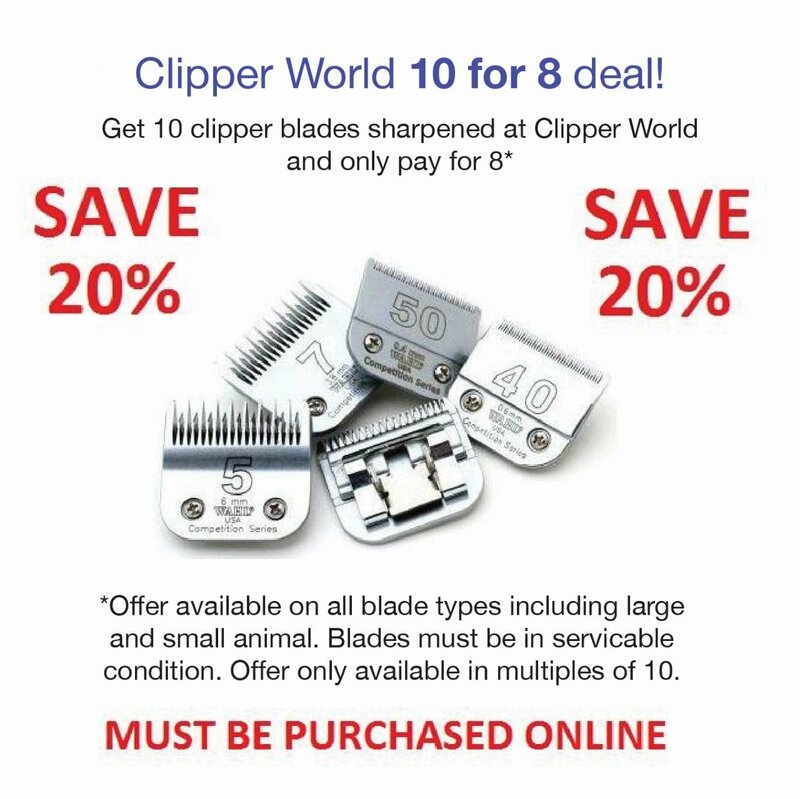 *Offer available on all blade types including large and small animal. Blades must be in serviceable condition. Offer only available on multiples of 10. Simply send your equipment to the address below. 5) Your courier or AusPost Tracking No. if applicable. NOTE: It is your responsibility to ensure ALL ITEMS are individually and SAFELY packed. Clipper World assumes NO RESPONSIBILITY for damaged items received.